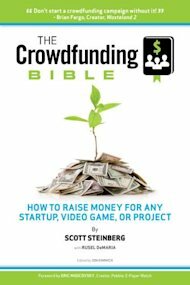 Crowdfunding Bible Book CoverCrowdfunding isn&apos;t just today&apos;s hottest new form of high-tech investment — it&apos;s also a potentially new and better approach to raising money online that threatens to upend traditional approaches to venture capital and angel investment. With the recent passage of the JOBS Act, suddenly, not only can you reach out and connect with qualified investors to launch new businesses and startups. You can also do so directly, without having to let VCs play ultimate judge and jury, or a small, but influential group of wealthy individuals dictating which products, projects and services deserve to be brought to market. Want to start your own business, looking to expand upon an existing line of products or services, or simply have a brilliant idea for tomorrow&apos;s next million-dollar invention? Services such as Kickstarter, IndieGogo, RocketHub and Peerbackers, which offer crowd funded investment solutions, literally give you the power to bring new businesses, products and innovations to life overnight. Letting you post a compelling video and written pitch asking the general public for donations that provide startup capital for new ventures, you can bypass venture capitalists and angel investors entirely and instead pitch ideas straight to everyday Internet users, who provide financial backing. Not only does the process provide early validation of project concepts and the projected scope of target markets — it also lets you turn backers into brand evangelists, begin building an audience of engaged fans early on, and raise money in exchange for as little as a product pre-order or personalized thank you. From a small business owner and entrepreneur&apos;s standpoint, results speak for themselves. Instead of making educated guesses about which projects and products that consumers will take interest in, and how much of these items they&apos;ll buy, you can instead focus test ideas at minimal up-front cost and spend on production and fulfillment accordingly. The process also makes customers more emotionally invested in the development process and ultimate outcome, even as advance purchases provide working capital to fuel production. Using the technique, new ideas can be launched at limited out of pocket expense from your kitchen table, and in many cases, without giving up ownership or equity stakes in the venture. Better still, you retain full creative control over projects, and have already begun connecting with fans and building awareness for your creations. Offering the best of both worlds by letting you run the business more efficiently (and as you see fit) while also turning backers into ardent brand evangelists, upsides are plentiful. As such, it pays to consider crowdfunding as a potential source of revenue for new concepts going forward, be they apps, consumer products, software programs, retail outlets or groundbreaking technology startups. Note that while crowdfunding is often best reserved for the smaller-scale business projects and original ideas that come from scrappy entrepreneurs than large brands or corporations, all would do well to consider its merits. Destined to only get larger as the pool of crowdfunding business models, websites and solutions grow, the practice could prove a handy tool for boosting and expanding your enterprise. Want to learn more about how to make crowdfunding work for you? 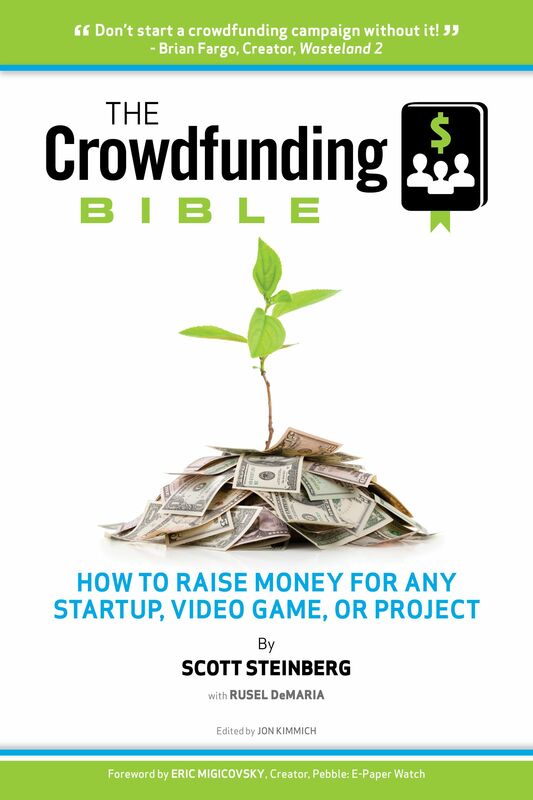 In addition to the dozens of great resources that exist online, consider having a look at our new book The Crowdfunding Bible, 100% free to download at www.CrowdFundingGuides.com, or in eBook form on Apple, Nook and Sony Reader devices. Professional keynote speaker Scott Steinberg is a leading expert on leveraging new technology trends to enhance business strategy and family life. A noted industry consultant and bestselling author, his new book The Crowdfunding Bible is 100% free to download at www.CrowdFundingGuides.com, or in eBook form on Apple, Nook and Sony Reader devices.